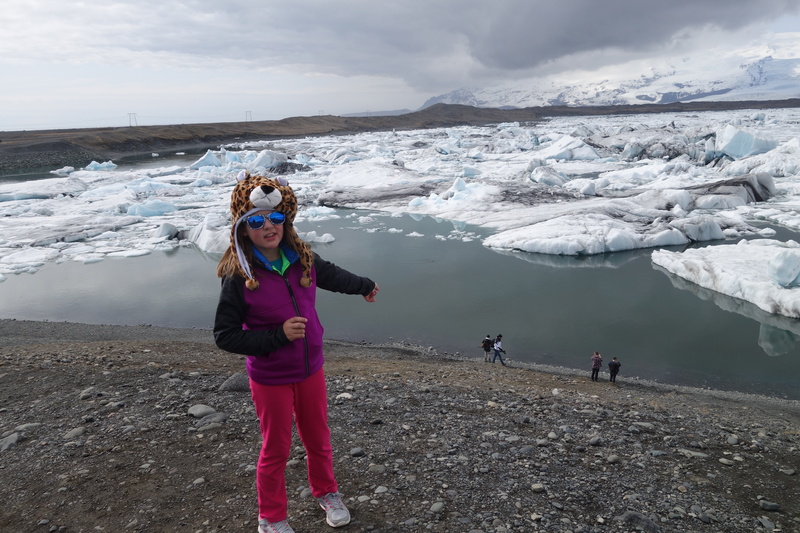 Visiting Jökulsárlón is not an easy feat if you stay in Reykajvik. Unless you constantly break speed limits (no admittance of wrongdoing implied) it will take you about 4 hours to get there without stopping. But it’s worth all the effort and getting up way too early. 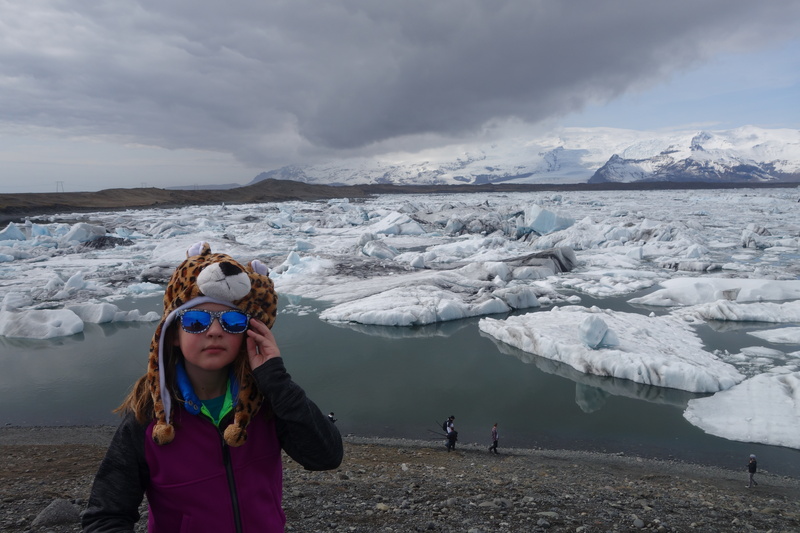 Icebergs which have broken off from the glacier float in the lagoon. 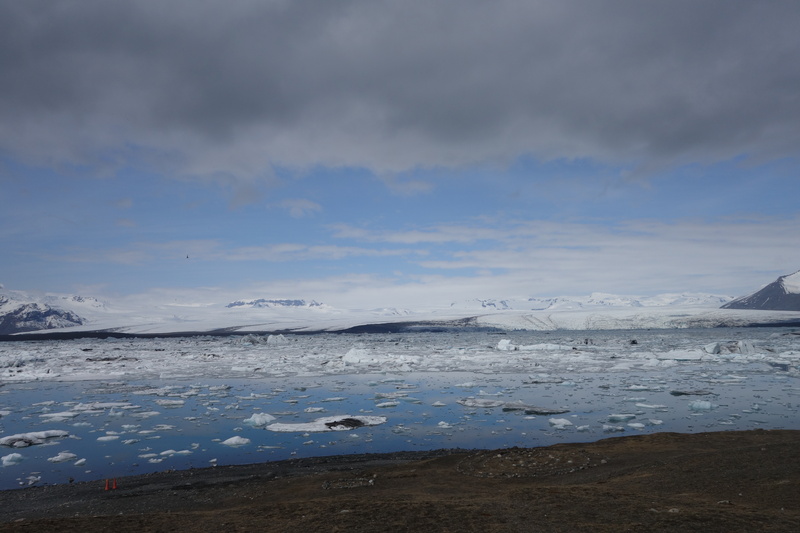 The scene is so spectacular that people sit in silence watching the large chunks of ice slowly making their way to the ocean nearby. 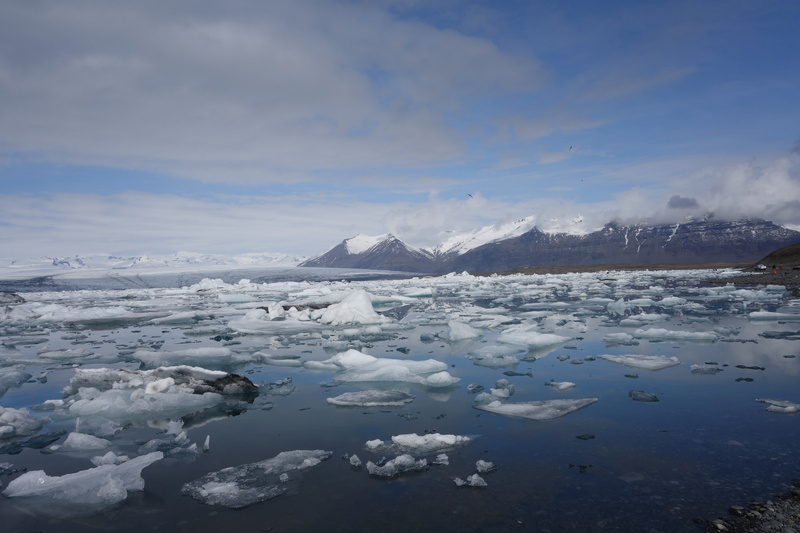 The 20km² and 200m deep lagoon didn’t exist 75 years ago, but is now getting bigger as the glacier shrinks, partially due to global warming. 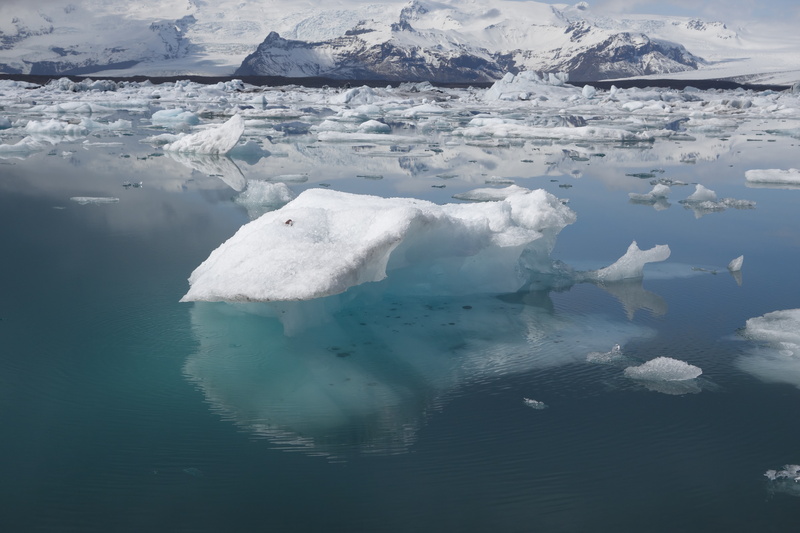 Some of the glacial ice seen floating on Jökulsárlón is around 1,000 to 1,500 years old. The half saltwater-half freshwater lagoon is home to krill, herring, salmon, trout – and seals, which can be seen hanging out. The blue color of the ice? – it’s an optical illusion caused by the fact that water and ice can absorb yellow and red, but not blue. This large chunk of ice was dripping incessantly while floating around. Fascinating how quite the majority of visitors are. Almost no words are spoken, the miracle of nature seems to quiet everybody down. 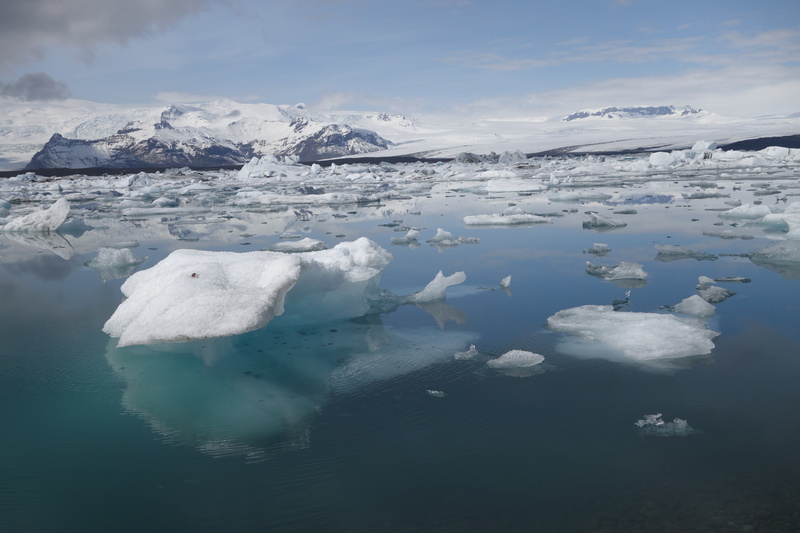 The pieces of ice float around trying to escape to the sea but the current of the sea keeps them trapped in the lagoon. Nature is so bright, I gotta wear shades. 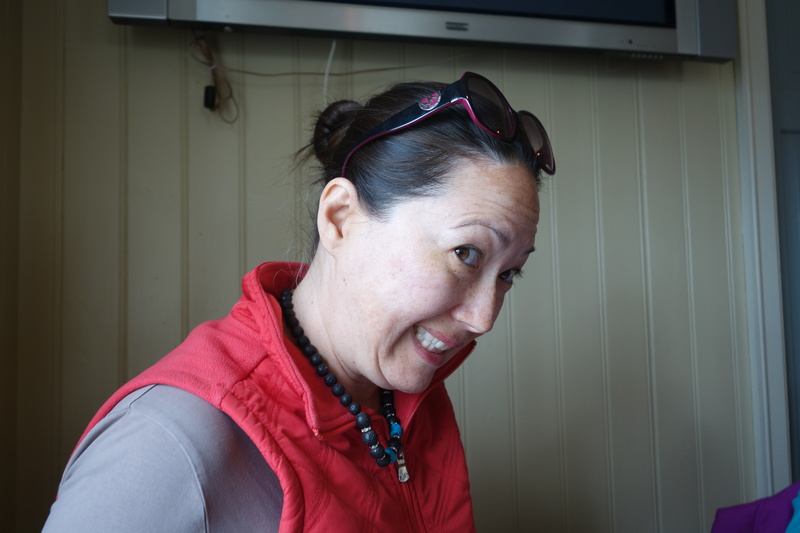 After long moments of taking it all in and trying to capture a miracle in photographs, it was time to grab lunch at the little shack close by. Ah, what the heck, let’s take another picture. 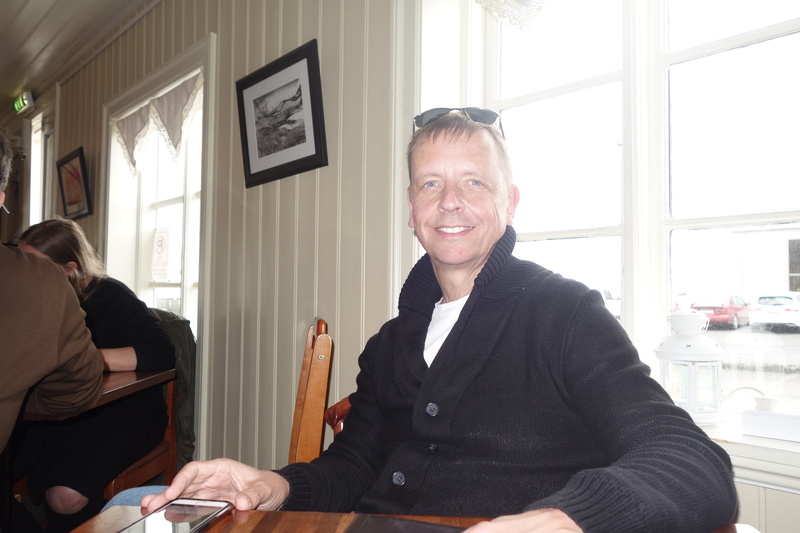 The seafood soup was surprisingly good. 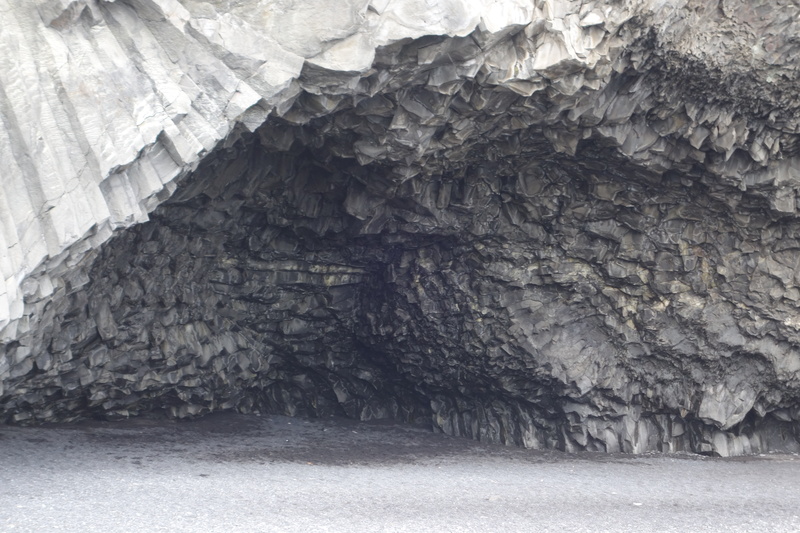 2 more hours of driving and we arrived in Reynisfjara. 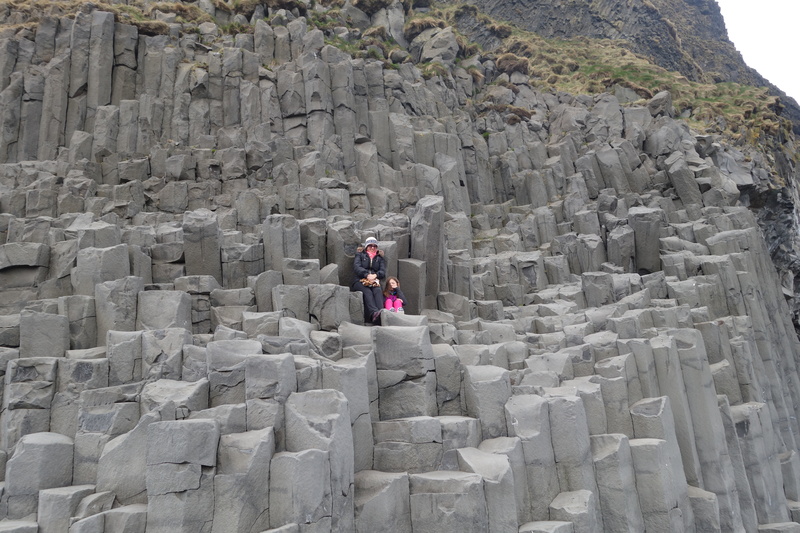 These columnar basalt creations are rather impressive. 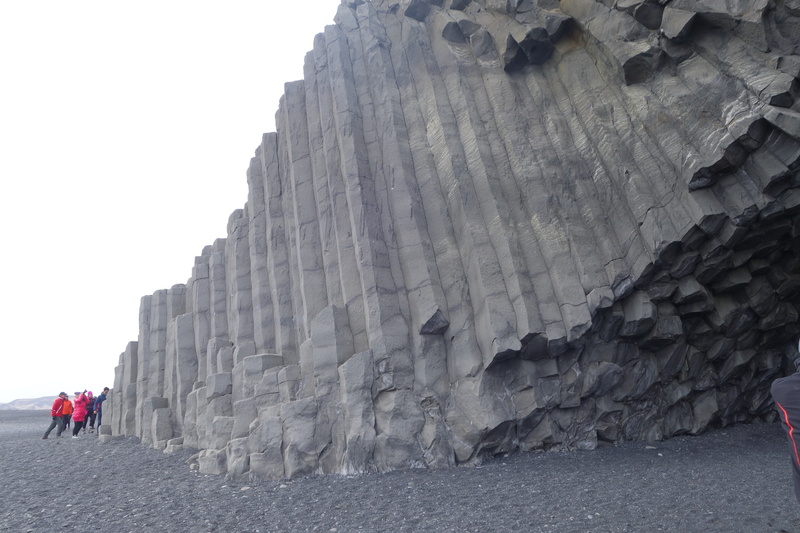 Columnar basalt is created by the cooling of lava flow. The cooling causes a contraction of the lava and creates fractures, perpendicular to the surface of the lava flow, with hexagonal forms. And the slower the lava cooled the more regular the columns are, hence the stair-like resemblance. Wait, are there trolls hiding in the columns? Yup, found those two trolls. 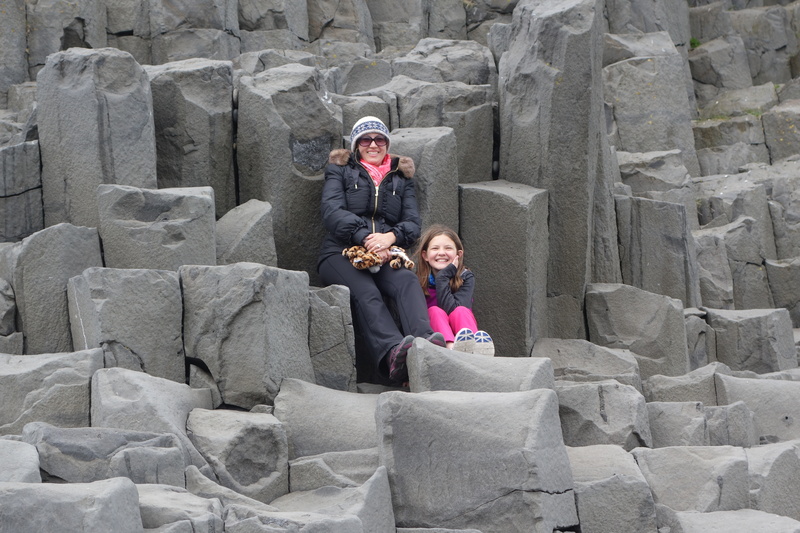 And because they are like stairs, you can climb them quite easily to get an excellent view of the Reynisdrangar. Exactly what the two trolls did. 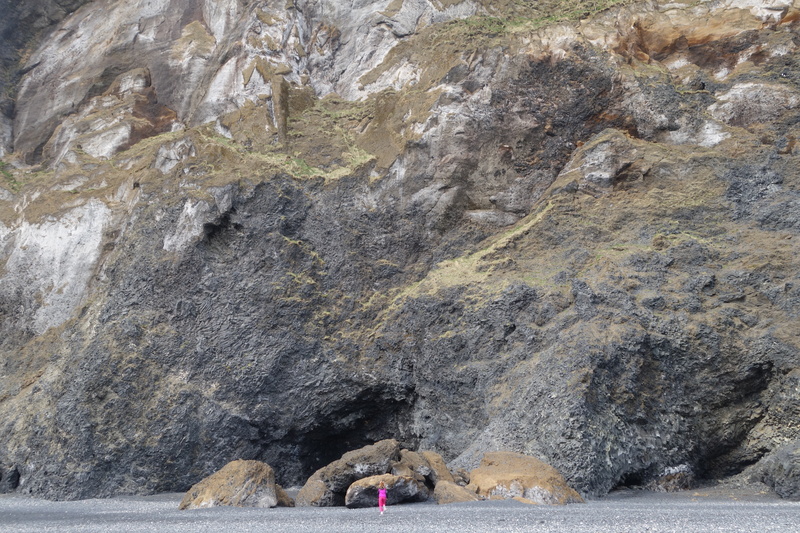 If you afraid of heights, walk past the basalt columns along the beach and you can explore a number of caves on the south-western foot of the Reynis Mountain. And, there is another legend attached to it: A monster was supposed to have lived in one of the many caves at the bottom of the cliff for many centuries. But since a landslide more than 100 years ago, the monster seems to have disappeared. 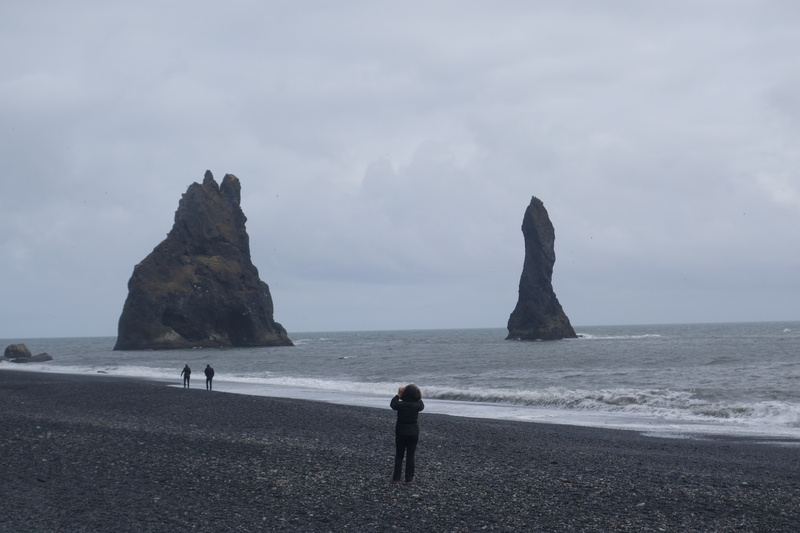 According to legend, the Reynisdrangar needles are the remains of 2 night-trolls, who tried to pull a three-masted ship to land. But they were caught by the dawn and when daylight broke they turned into stone. Those lone black pillars of rock marooned in the sea, slim black stacks waiting for the final great storm that will finally sweep them off their feet and into the waves. 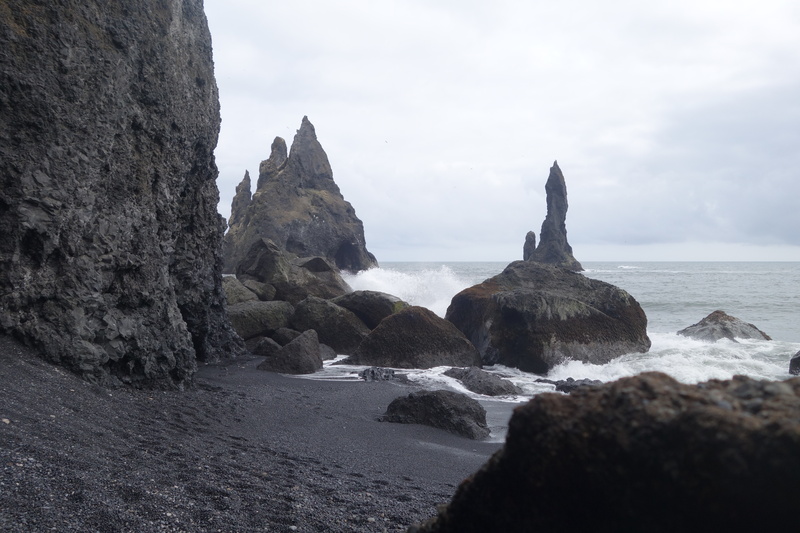 Eventually, these stacks will become just another few grains of black sand on the vast expanse of Reynisdrangur beach. Just like life, natural wonders are fleeting. 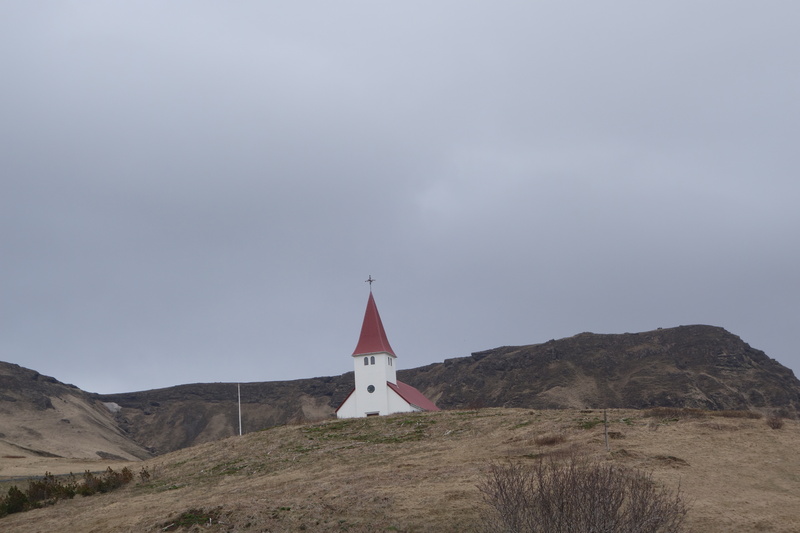 The adorably sweet church (kirkja) at Reynisfjara. 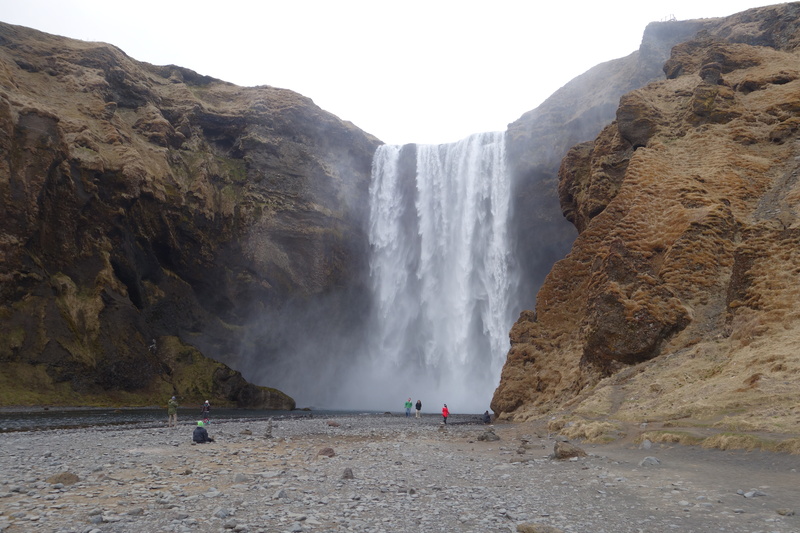 A short drive towards Reykjavik and we encountered Skógafoss. 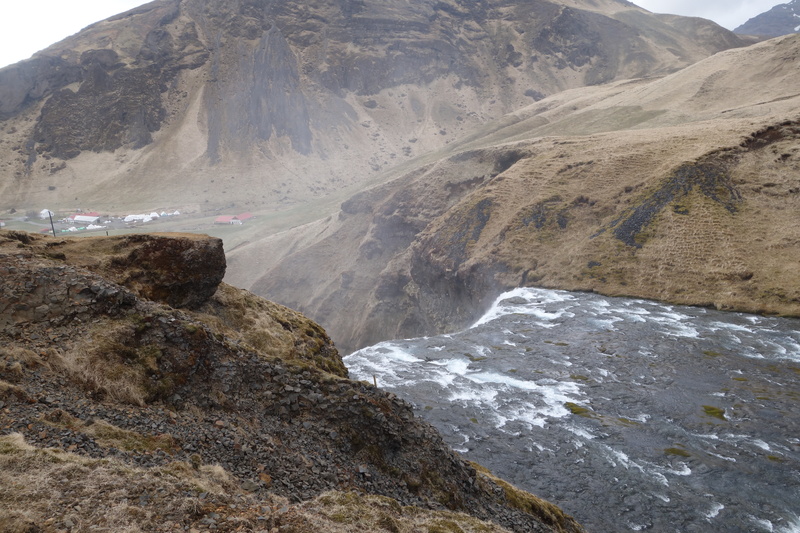 Skógafoss is not only one of the biggest waterfalls in Iceland but also the stairs next to the waterfall mark the beginning of one of the most popular hiking tracks in Iceland. It’s a 18 mile hike. 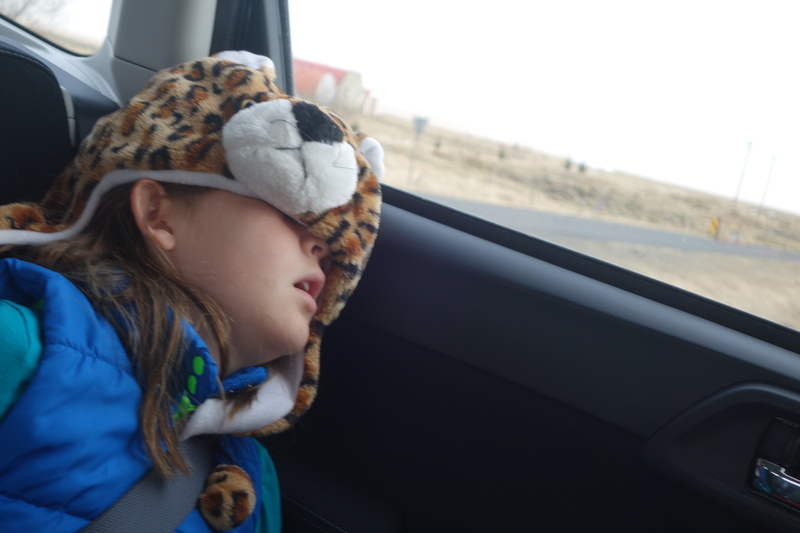 We opted out of it. 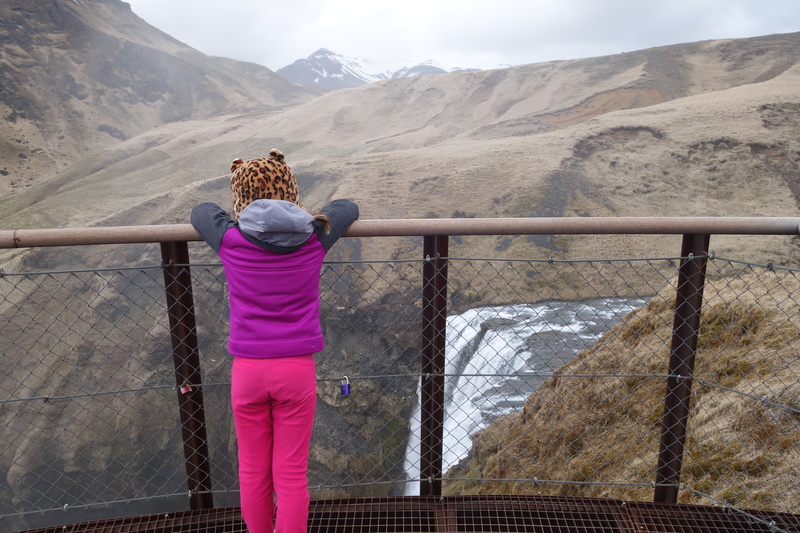 But we walked up the 424 stairs (counted by Astrid) and enjoyed the amazing view. 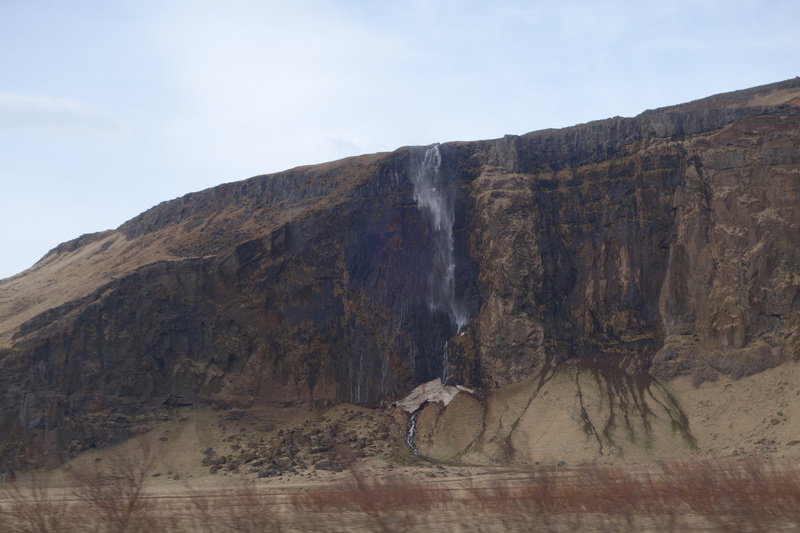 The cliffs the waterfall drops down from, are the reminders of the former coastline of Iceland and you may say it is the border between the highlands of Iceland and the coast. So much to take in for one day. One the way home, we saw Seljalandsfoss from the distance. You can walk behind the waterfall and we were tempted. 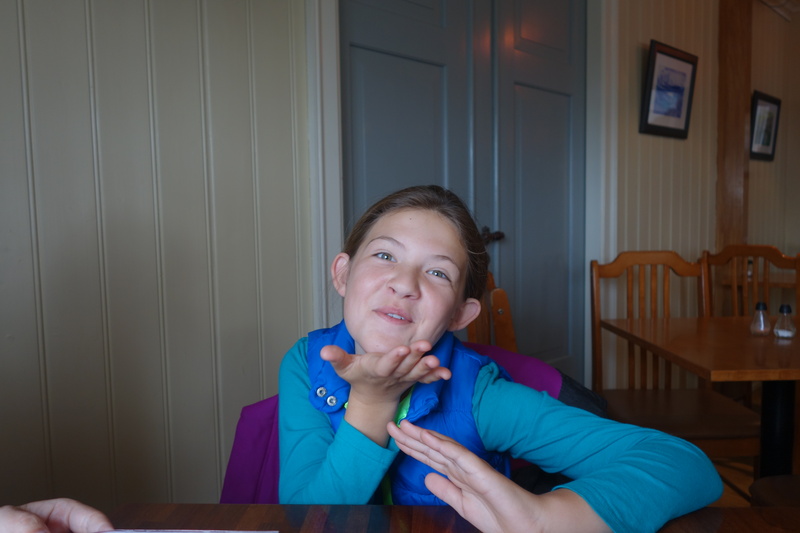 But powerful trolls dragged Astrid into the world of elves and moss.